Dave is an expert in determining issues involving solid fuel burning appliances and fireplaces such as pellet stoves, fireplace inserts and air tight wood stoves. Registered Member of Applied Science Technologists and Technicians of B.C. 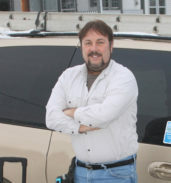 Registered Member of Wood Energy Technicians of B.C. (WETT). Registered Member of International Association of Certified Home Inspectors.